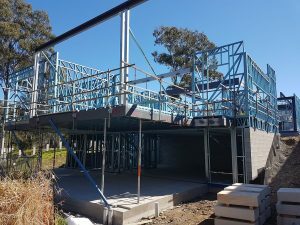 Civic Steel Homes orders frames and trusses from Stoddart Steel House Frames, who design all components using Vertex Building Design software. Civic Steel Homes uses Vertex Viewer which allows them to view and add comments on Vertex BD models. Using the viewer helps them to identify design issues before the frames are manufactured, resulting in faster and more accurate production. Brisbane based Civic Steel Homes builds homes from Noosa to Coolangatta with 21 years of experience. The company specialises in sustainable and energy efficient buildings that factor in Queensland’s climate – heat, rain and humidity. Their designs also adapt to a variety of environments, from acreage to inner city living, hillside and other more challenging settings. Civic Steel Homes’ mission is to provide functional and affordable homes that are well suited to the subtropical climate and lifestyle of South East Queensland. When they look for suppliers, they need businesses that share the same values. For wall frames, floor joists and roof trusses, Civic Steel Homes rely on Stoddart Steel House Frames. Stoddart Steel House Frames is based in Ormeau, south of Brisbane. The company is a part of Stoddart Group which has over five decades of experience in the residential building industry. 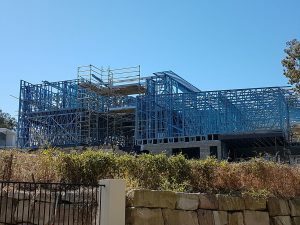 Stoddart Steel House Frames specialise in steel house framing for residential construction, ranging from simple low-set homes to high-set homes, townhouses and all the way to the more specially designed architectural homes. 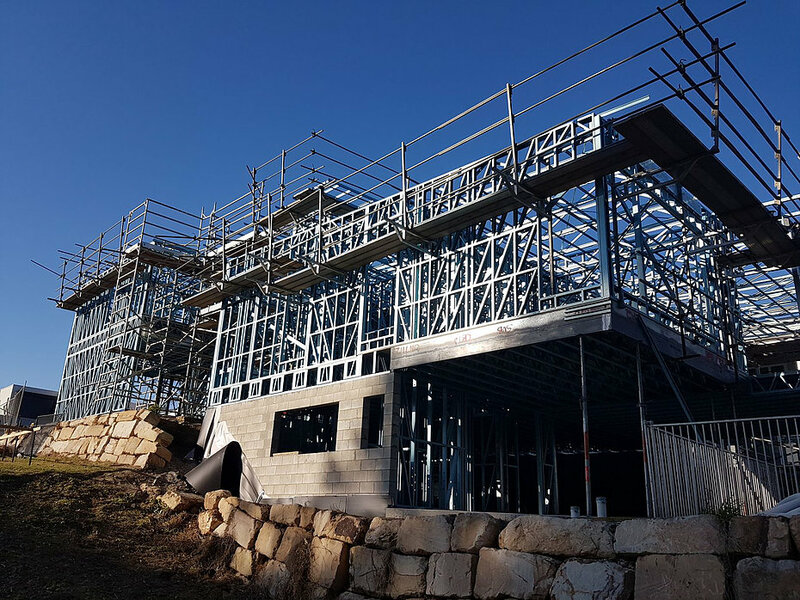 To meet the needs of Civic Steel Homes, Stoddart uses the best available system to design their wall frames, floor joists and trusses – Vertex BD. Vertex Systems has provided high quality computer aided design and product data management software solutions for the building industry worldwide for 40 years. Vertex BD is a 3D building information model (BIM) based software for steel and wood framed construction. Stoddart’s Project Manager Jason Langdon says they have previously used a 2D detailing program until they switched to Vertex BD in 2015. Mr Langdon says one of the key benefits of using a 3D package is that the detailers are able to see the finished design instead of having to visualise it in their mind before seeing it in the site. Businesses like Stoddart change and grow over the years so they require a software that offers flexibility. Mr Langdon says “the program’s ability to adapt and grow with the business” is the main reason why the company started using Vertex BD and what he would consider as the greatest advantage of the system. To aid with communication between different parties in the construction process, such as builders and frame manufacturers, Vertex also offers a free Vertex Viewer program which opens Vertex designs in 2D and 3D for viewing and redlining. The tool allows users to add text, lines and symbols to drawings. 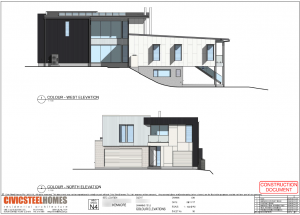 Mr Langdon says he has recommended his clients to use Vertex Viewer because they often wish to review the framing design before any material is produced and the 3D viewer makes it very simple. When Civic Steel Homes Architect Kelly Grimley designs a house, he is very meticulous. 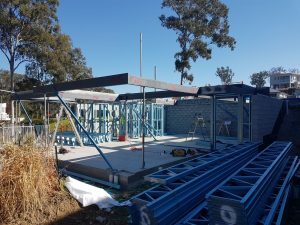 To ensure Mr Grimley’s vision for his client is met, he relies on the ability to cross check his designs with the fabrication details from Stoddart Steel House Frames. 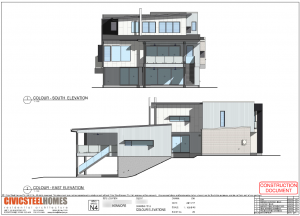 Mr Grimley looks to ensure the design intent is met, that the architectural features he has incorporated have the desired effect, while also checking to see there are no clashes with HVAC services or plumbing services within the structure. To do all this Mr Grimley uses Vertex Viewer regularly in his work. He says not being able to visualise service paths, such as plumbing and air conditioner ducts, was an issue he faced in the past. Being able to view the frame in 3D prior to construction has helped to solve the problem. It is also beneficial for Stoddart to have their clients to use Vertex Viewer because it has decreased the turnaround on reviews, meaning they can get jobs produced and on site sooner. “The 3D viewer makes it very simple to communicate and identify design issues as well as picking up structural member clashes, windows clashing with roof planes and so on,” Mr Langdon says.